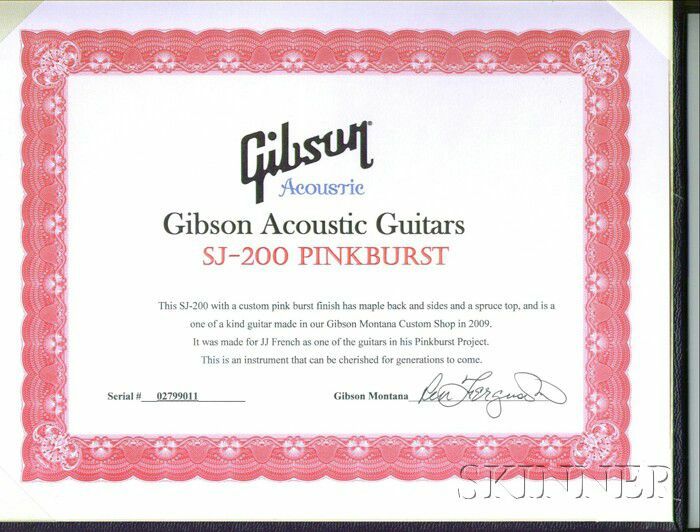 American Guitar, Gibson Custom Shop, Bozeman, 2010, Model J-200, serial number 02799011, width of lower bout 16 7/8 in., expressly for the Pinkburst Project, with Pinkburst Project TKL custom case. "The Tenth guitar. 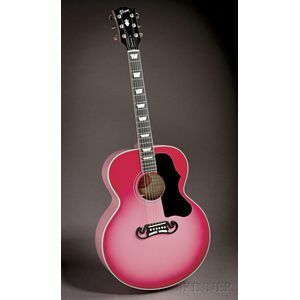 Once the decision was made to have Martin make a guitar for the collection, I started to think about the pairings of the guitars with the amplifiers that made legendary musical combinations. That worked for all the guitars except the acoustic Martin. I then thought, if a collector was going to want an acoustic guitar, what about creating the only two factory matched Martin and Gibson acoustic guitars ever made. Shanon Chaiken at Gibson in NY helped me on this one with getting the Gibson Custom Shop to match the bridge and the pick guard as well. 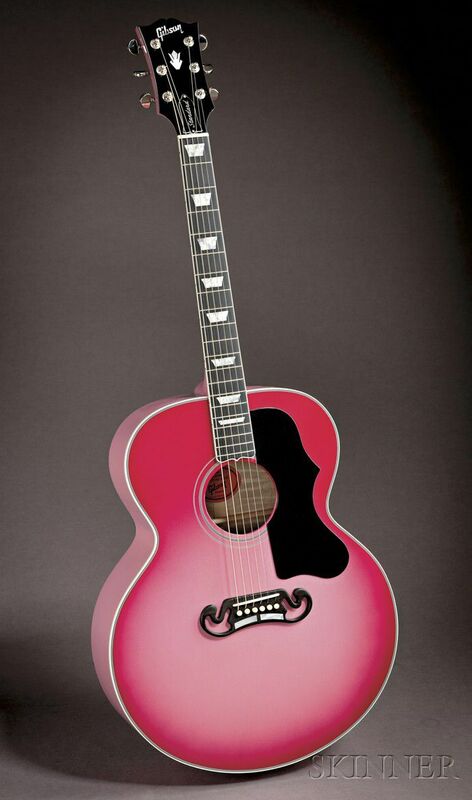 Although the guitar was made in Bozeman, MT, the guitar was painted at the Nashville Gibson Custom Shop."